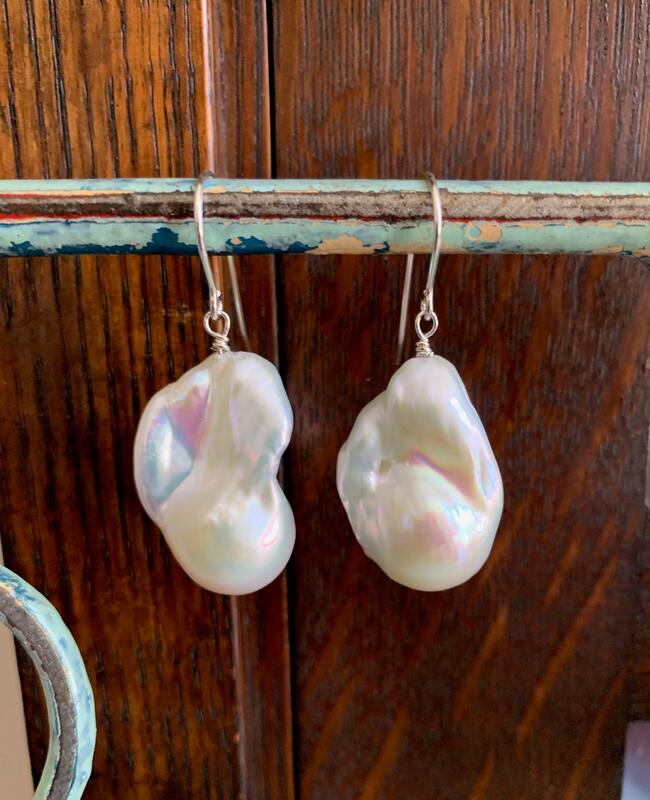 These simple dangles feature two exceptionally beautiful baroque freshwater pearls. They are impressive in size and slightly iridescent in sheen. They can be worn day or night, with jeans or an evening dress, and are very on-trend. The pearls measure 25mm x 18mm, and the earring components are made with sterling silver. The length of the drops is 25mm, and the earrings come with rubber safety backs. To keep your pearls looking their best, remember they should be the last thing you put on and the first thing you take off. Avoid getting perfume, hairspray, lotion, or any other chemical on them, and wipe them off right away if you do. Keep them out of water, where hair products, chlorine, or salt water could dull or discolour them. Water can also weaken the bond between the pearl and the post. 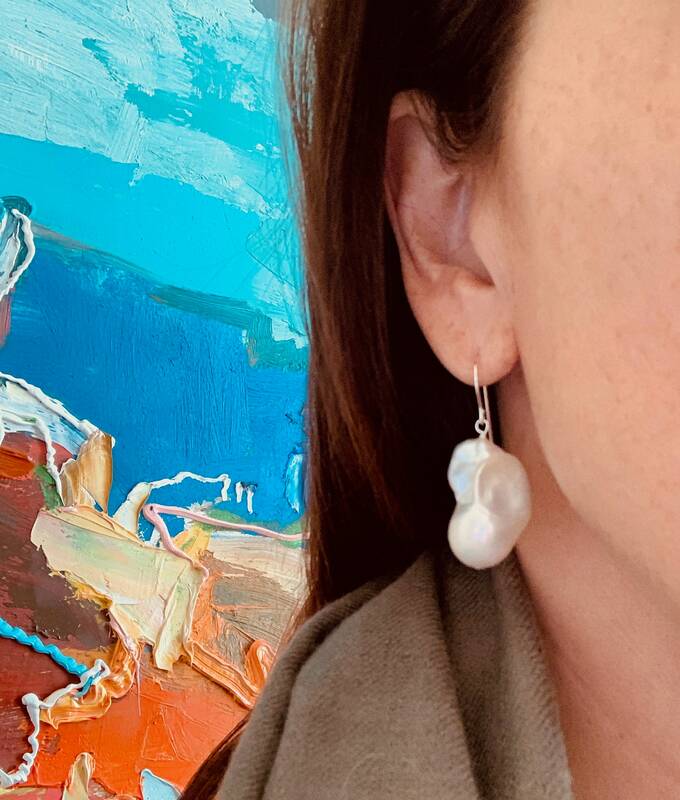 1) Almost every real pearl on today's market, regardless of variety, is “cultured.” A cultured pearl is grown on a farm in an ocean or lake, around develops around a nucleus or irritant placed in an oyster or mollusk. It is created by nature, albeit with man’s help. 2) “Natural” pearls are pearls that have been found in oysters. Natural pearls sell for tens of thousands of dollars, and today are almost always part of antique pieces. They generally come with gemological x-ray certification. 3) The highest-price cultured pearls are cultured in seawater, and there are three varieties: Akoya, Tahitian, and South Sea. 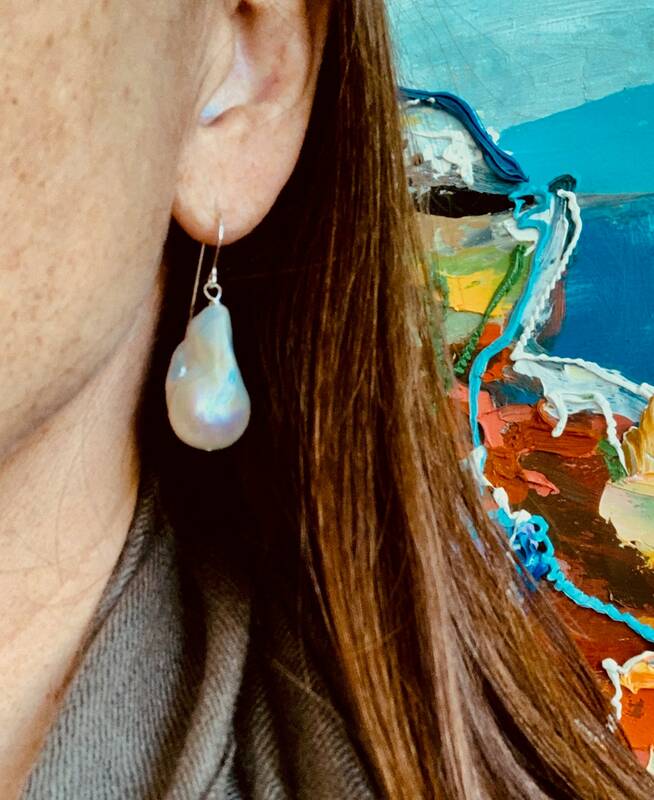 Akoya pearls, grown off the coast of Japan, were the first saltwater pearls to be cultured, and became the "classic" pearls your grandmother might have worn. Tahitian pearls, which are farmed around Tahiti, grow naturally in shades of grey and black. South Sea pearls, grown in the Southern Hemisphere, are considered by many to be the most desirable pearls in the world.